The center of a bike’s wheel, where it attaches to the frame is known as the “hub.” Spreading out from this hub are a series of thin metal rods known as the “spokes.” The spokes serve as connection points to the outer rim of the wheel which connects to the tire. Aside from being an excellent placement for playing cards or colorful beads, the spokes keep the wheel true to its shape and reinforce its strength, while transferring force outward from the hub. Lose a few spokes and you are likely to be riding something that begins to resemble an amoeba instead of a perfect circle, and certainly not able to create momentum. 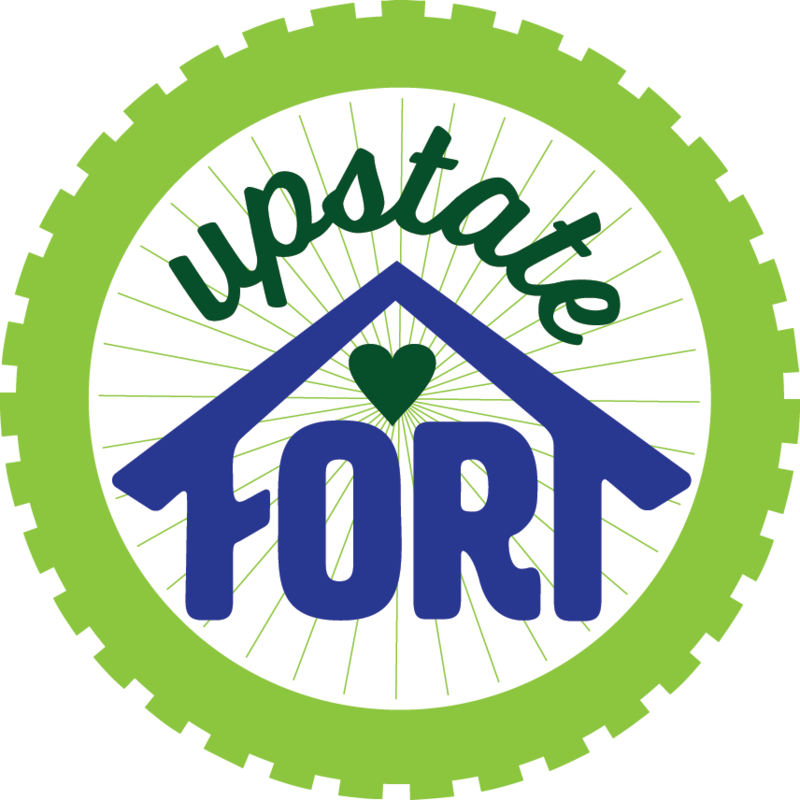 Here at Upstate FORT (Family Oriented Resources and Therapy) we really like to ride bikes. But, that is not the reason our logo references the wheel of a bike. Look closely and you will see the “hub” of our wheel is a heart. At the center of everything we do is compassionate regard for the person, family, or couple we have the privilege to serve. We also hope this powerful little heart serves as a reminder to find the most loving voice possible at the center of our being for ourselves and those we are connected to. When a client comes into our office we aim to become one of their spokes, helping them to feel strong and true. One of the patterns I have noticed over the years is the number of people I meet on wheels with one or two spokes. Their heart hubs are feeling isolated and disconnected from others. They are tired of carrying too much load in one or two areas. Friends and family may be unaware of their struggles, most often because they have chosen to maintain the illusion they are not struggling out of embarrassment or the desire to avoid creating inconvenience for others. Our culture celebrates individualism and independence, even though any walk through nature, creative collaboration, or service opportunity reminds us of the value diversity and interdependence bring to our lives and community. The instinct when things get hard is to isolate or draw in, to remove support, to downsize the number of spokes. What if, when things got hard, we added spokes? And what if we made sure those spokes were rooted in our most loving thoughts? Spokes might look like: asking a friend to go for coffee or a run; spending ten minutes a day to simply sit, breathe, and tune into the heart of the matter; hiring a coach or helper; asking for help from a friend, neighbor, or parent; volunteering for something where we can make a difference; or organizing a community supper one night a week with friends. Hub and Spokes. Coming from the heart, allowing vulnerability to be seen, creating interdependence and transferring the power of community so that we all have an easier time staying strong and true.